Thousands of people in Tamworth got into the festive cheer early with the switching on of the town's Christmas lights. 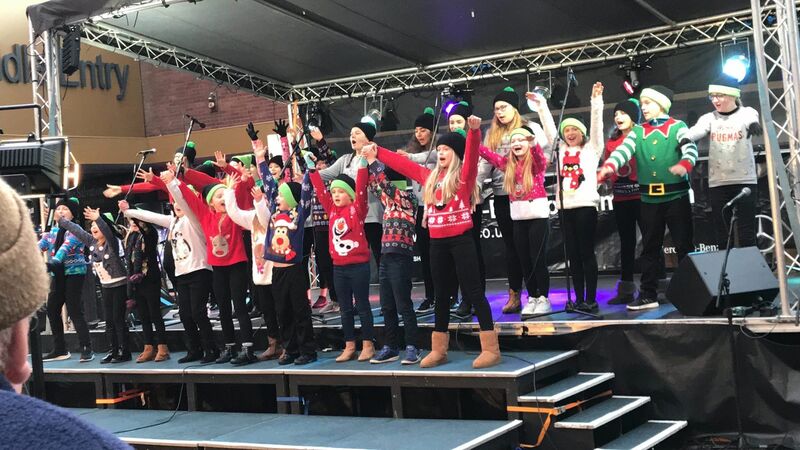 Around 7,000 people flocked to Tamworth town centre for an afternoon of festive entertainment for the whole family. The yuletide season was kicked off in style with a Christmas market, fairground rides, nativity, walkabout characters, craft activities, face painting, lantern parade, and a variety of live performances from the Touch FM stage in Tamworth town centre's St Editha's Square. It all culminated in the switching on of the lights, with the honour of throwing the switch going to Sophie Downing of 2nd Dosthill Brownies, who won a special Bake-Off competition. She was accompanied on stage by the Mayor of Tamworth, Councillor Peter Thurgood, while also not forgetting Father Christmas and Peter Rabbit™, who made an appearance too. The annual Christmas lights switch-on is organised by Tamworth Borough Council's Arts & Events team, together with the Tamworth Christmas Lights Festival Committee. The switch-on also coincided with the annual Christmas Tree Festival in St Editha's Church, which gave visitors the chance to admire dozens of trees decorated by schools, businesses, local groups and individuals. The focal point for the fun-filled afternoon was the Touch FM stage in St Editha's Square, featuring live performances from St Leonard's Primary School, Upbeat Dance Studio, Landau Forte Sixth Form Dance, ALI Gilbert Feat Teresa Meads, Stage It Academy, Tamworth Pantomime Company, Trinity Trappett, Just Perform, Tamworth Voices and My Favourite Things who ended the proceedings with some classic Christmas tunes. 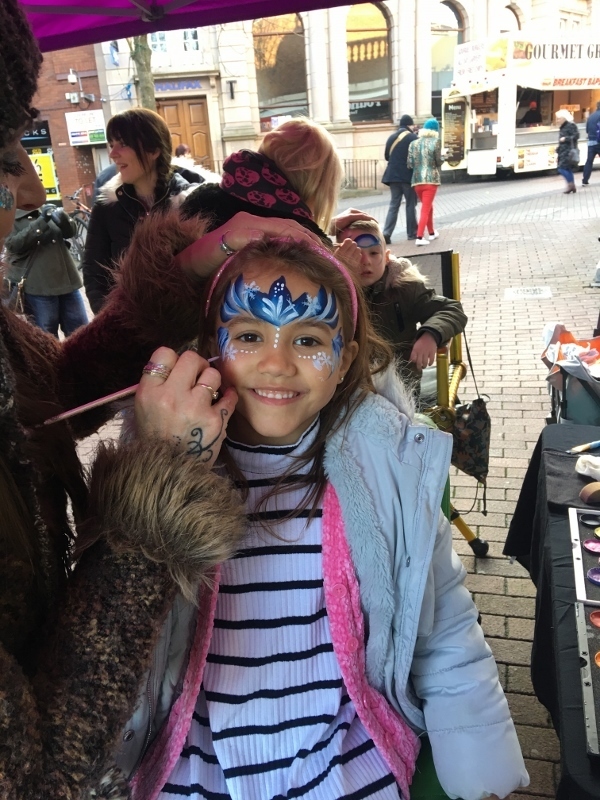 The festive market proved to be popular with visitors with dozens of stalls lining George Street, offering a range of festive treats, local groups, novelties and face painting. 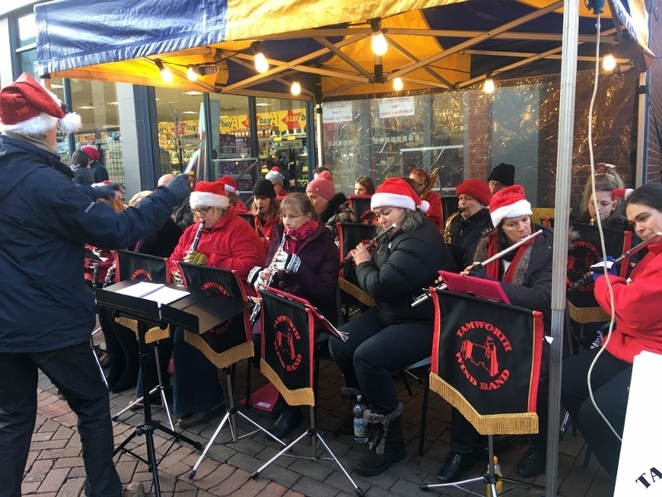 Shoppers were greeted by the merry sounds of Tamworth Wind Band, while elsewhere, under the Town Hall, members of St Francis Church staged a live nativity. Youngsters also got involved with the Christmas lantern parade when they collected their pre-made lanterns, fitted with glow sticks and mounted on six-foot canes, which were created at workshops during half-term. The impressive parade started from the Tamworth Castle Bandstand and was led to St Editha's Church for the main switch-on event. Mark Burbridge, centre manager at Ankerside Shopping Centre, said: "We were so pleased to be able to team up with Tamworth Borough Council for the annual light switch on. Throughout the day, we welcomed Santa and Peter Rabbit™ to the centre to officially kick off the festivities in style. Peter then went on to the town centre to meet and greet more children, as well as help turn the lights on." 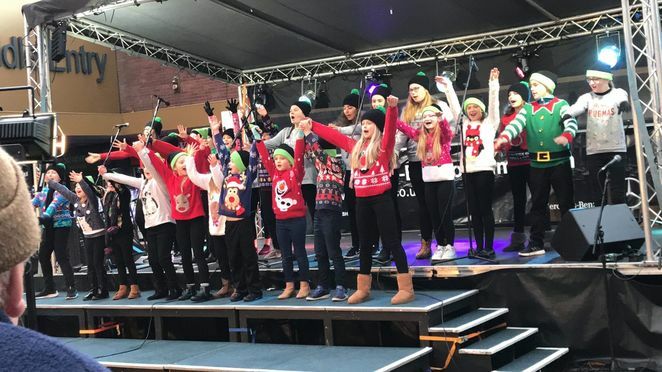 Mayor of Tamworth, Councillor Peter Thurgood, added: "The Christmas lights switch-on is yet another popular event in Tamworth's busy programme of free entertainment with a wide range of activities taking place throughout the town centre. Once again Tamworth Borough Council's Arts & Events team did us proud with another fantastic and enjoyable afternoon of fun which really got everyone in the festive mood. There was something for everyone to enjoy and it was great to see families and people of all ages enjoying themselves."